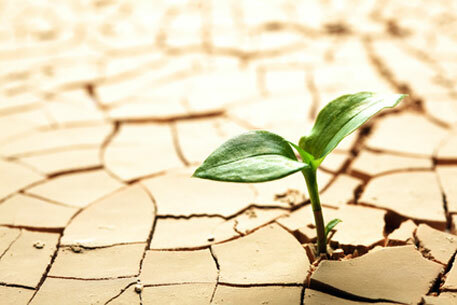 A gene that can help in creating drought-resistant plants has been identified by researchers from Duke University, US. The gene, named OSCA1, is responsible for encoding a protein in the cell membrane of plants that perceives changes in availability of water and modifies the plant’s water conservation system as per requirement. OSCA1 allows calcium to surge into the cell in times of water shortage. This is the trigger which makes plants launch mechanisms to deal with changed water levels. The researchers now aim to “manipulate the activity of the OSCA1 gene and related genes and see how those plants respond to drought”, says a report published in the Duke University’s website. Droughts, a major reason for crop failure across the world, are likely to become more frequent with global warming and climate change making rainfall patterns irregular. The find can be a handy tool to engineer crops that can survive in areas facing water shortage and help in meeting the hunger needs of the world’s population which is projected to increase by more than two billion by 2050. The paper was published online in the journal Nature on August 27.